I have several self-published novels currently in the marketplace. With one exception all were written with the rather simplistic goal of telling an interesting story, populated by characters who generated some sort of emotional response from the reader. Additionally, I wanted to tell stories that to some degree offered subject matter that had not been “done to death” in other books. While I hope that the Time of the Preacher also meets that criteria, it has a unique characteristic in that I tried to not write it. This is a book actually inspired by a CW album released in the mid nineteen-eighties. As were many music fans, I was captivated by the stories hinted at in the songs but I wanted more. I wanted character development and plot lines and interactions. Names, dates, places. In those long ago days I spent a considerable amount of time chasing the white lines across our interstate system of highways. As I traveled from town to town I would listen to the music and soon characters began to form in my mind. They would introduce themselves and then take up residence in the remote corners of my consciousness. While these characters had no prior existence in history or fiction, they began to take on distinct personalities. I would allow them to play their scenes and run their lines for diversion’s sake and then pack them away when I reached my destination. We soon reached a point where this no longer satisfied them. The only way to quiet their activity was to record their scenes. Soon I had several legal pads filled with handwritten notes of dialogue and backgrounds. As a writer I was never attracted to the western genre and didn’t want to commit to the amount of research required to tell a credible tale. But they would not leave me alone. I felt almost as if I were being besieged by ghosts who could not rest until their story had been told. And so I surrendered. I moved from the legal pad to the word processor and started to delve into the times and places these characters would have known. The Time of the Preacher is the result of that experience. I feel that I can say, without fear of being accused of hyperbole, that it is the most unusual western you will ever read. The opening chapter has the four main characters, in what to them was present time, all in the same location. After that each character’s back story is told in flashback and explains how they all came to meet. Later in the narrative they are all together again and their conflicts resolved. All but The Preacher. He has another chapter and a very special resolution awaiting him. Most writing projects are, to a greater or lesser degree, labors of love. I must confess that The Time of the Preacher was more akin to being an obsession. This entry was posted in Uncategorized and tagged Bandits, Circuit riders, Civil war, Jail house conversion, Red-headed stranger, Redemption, Westerns. Bookmark the permalink. And it’s a GOOD book! Thanks for that. I’m glad you liked it. Very cool, how you imagined the characters from the songs. Love your process. Thanks for the comment. 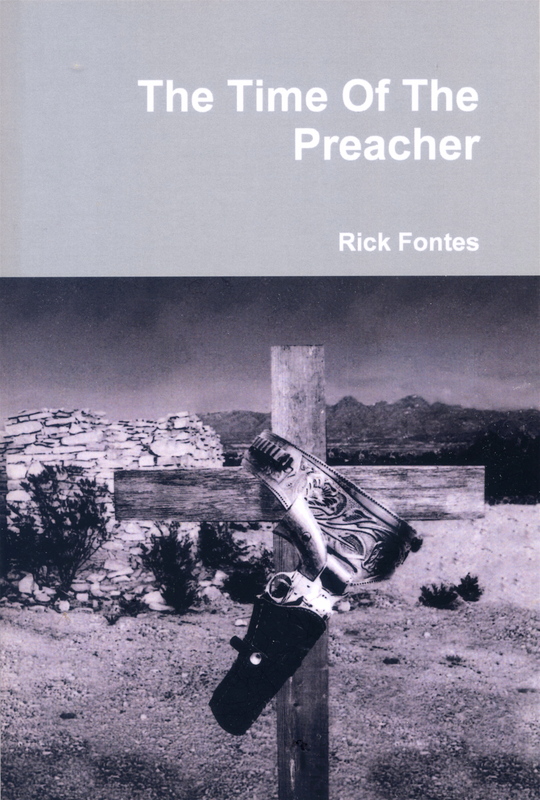 At the risk of sounding like a brag,”The Preacher” turned out better than I expected it to. Willie’s album, “The Red headed Stranger”, had captured my imagination and I was just trying to put some meat on the bare bones of the non-narrative presented. So far it has drawn three very positive comments on Amazon.